The operative word is PASSION. Ms. 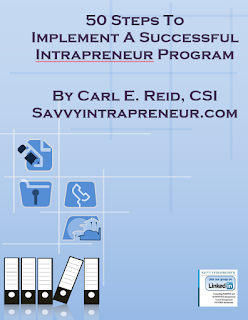 Savvy Intrapreneur, smartened up one day. She realized she could give herself a raise, when her boss told her the budget was tight. She needed more money to live life, instead of just making a living. Although she did not want to start an accounting service, which was her core skill set, she set her sights on starting a small business from home part time. Ms. Savvy Intrapreneur remembered she had a passion for helping friends decorate their house from inexpensive items bought at a flea market. Those same friends were not only raving about the results, but started referring other people. Before she knew it, she was almost matching her weekly corporate take home pay just working weekends. Matching your take home pay with a side line business gives us more options. Life is about choices. The more money we have, the more choices are available. Think about it. If we are willing to put in many hours of overtime to make the stock holders of our company richer, why not put in 5-10 hours a week of overtime to make ourselves richer? Watching a TV show or sports only makes the bank accounts of those that we view, richer. Why not you? Just 1 hour a day to match our take home pay, puts us in a different frame of mind when our boss asks us "what do you think?" about a business issue at hand. The fear of losing our job disappears when we have alternate income. 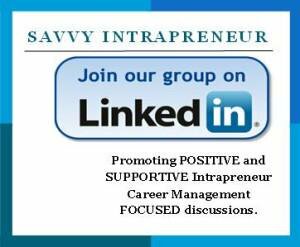 A manager always appreciates the real answer from a Savvy Intrapreneur, because it allows them to shine by making intelligent business decisions. Everyone wins, when we decide to give ourselves a raise. Anything we are passionate about doing, even a hobby, can be turned into a business. Anything, from taking pictures of cats to watching TV can be turned into a business. How do you think TV shows are rated? People are paid to watch TV. Those Hallmark Cards with just the right sentiments of words are created by people who are passionate about the poetry of living life. Painting soldiers or a house could be a business, as well as baking your favorite chocolate chip cookies. Hello Mrs. Fields. What's your PASSION, INTEREST or HAPPY FEELING PLACE? Ka Ching, Ka Ching is the cash register sound that our passion makes.